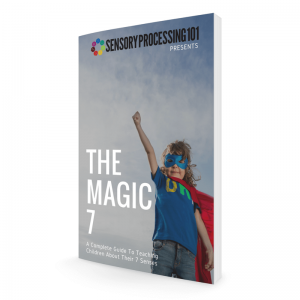 Tired of looking through countless books and online resources to piece together what you need? 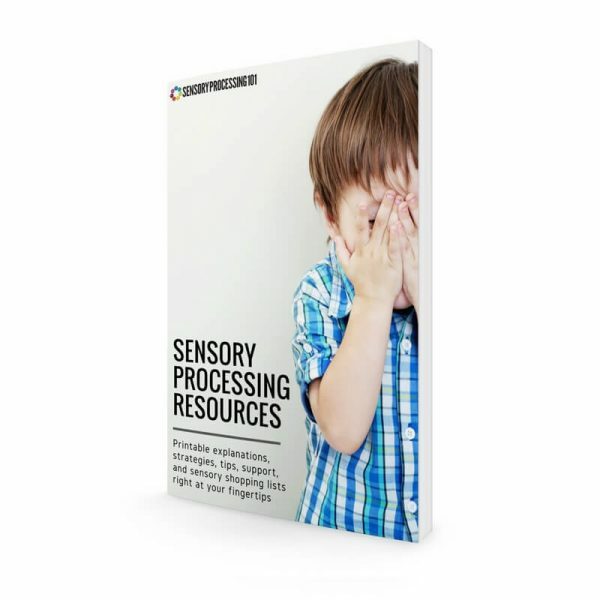 The Sensory Resources section puts explanations, strategies, tips, support, and sensory shopping lists right at your fingertips. These pages are perfect for printing and sharing with parents, teachers, and others who have an interest in learning more about sensory processing. 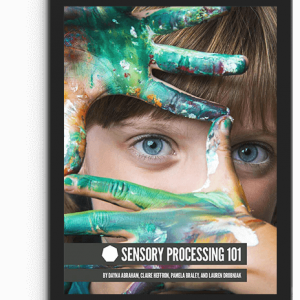 This 25 Full Color PDF Guide is perfect for printing! 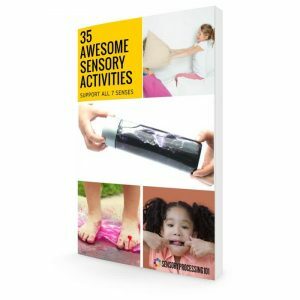 -Print the shopping lists so you can easily pick up the supplies needed for sensory activities at home, in the classroom, or in the therapy room. 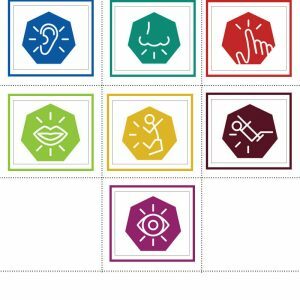 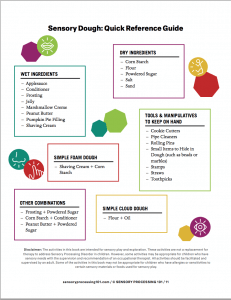 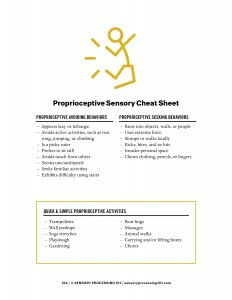 -Sensory Cheat Sheets can be printed and provided to teachers, therapists, and caregivers to highlight behaviors that may be related to each sensory system and simple activities to address the behaviors. 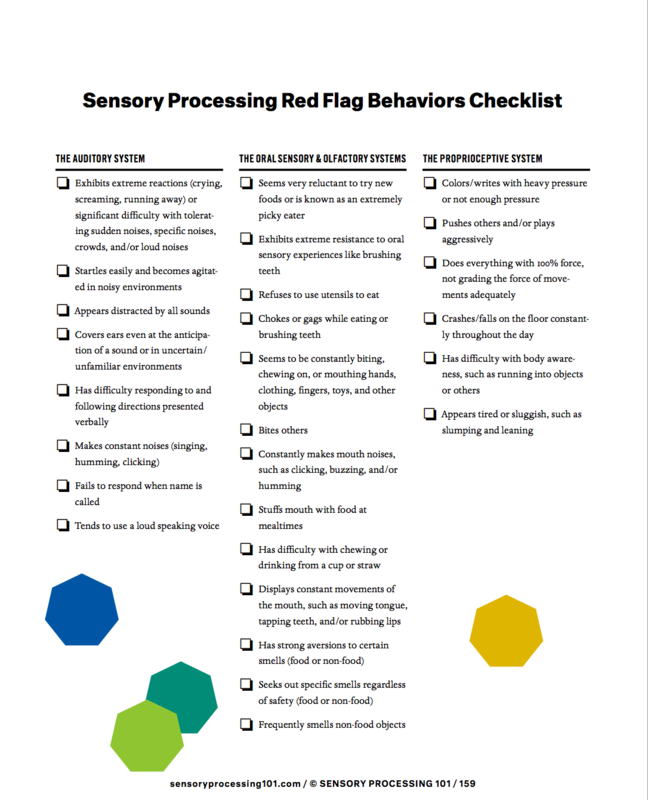 –Sensory Red Flag Behaviors Checklists can be used to observe, identify, and document possible sensory behaviors. 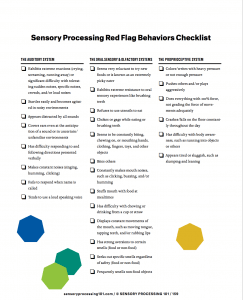 Perfect for therapy screenings and home/classroom observations. -Share the Sensory Processing Overview with others to provide a quick snapshot of what sensory processing means along with a brief description of each sensory system. 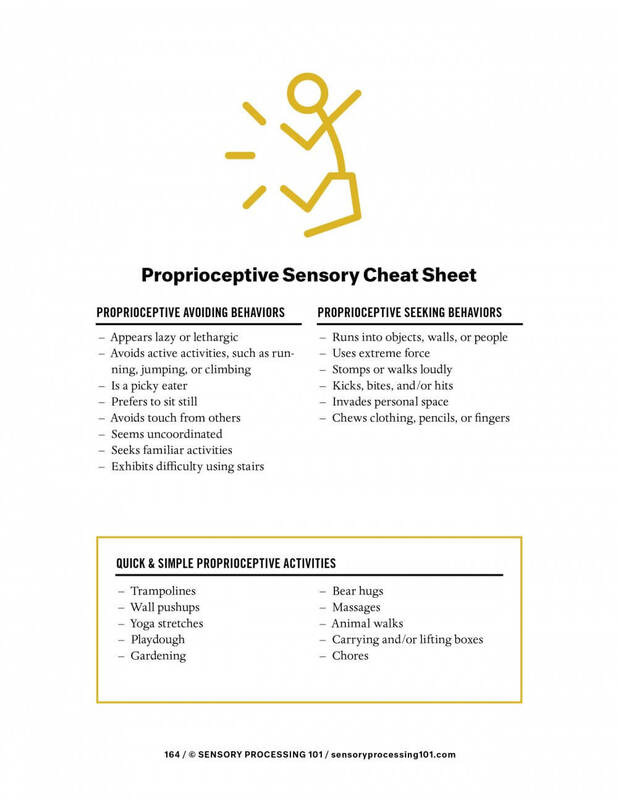 -All of the pages in this full color printable PDF resource can help parents and therapists inform others about sensory processing.